I work at Adobe and previously Nitobi. I contribute to Apache Cordova. I log my thoughts to a blog. I listen to the wise birds twitter. I often push my master to github. I idle on freenode #phonegap. I pin some of my interests. I share the odd instagram. I post the odd flickr. I am fully linked in. A graphical PhoneGap CLI alternative for Windows and OS X.
On-device prototyping with PhoneGap for iOS, Android, and WP8. 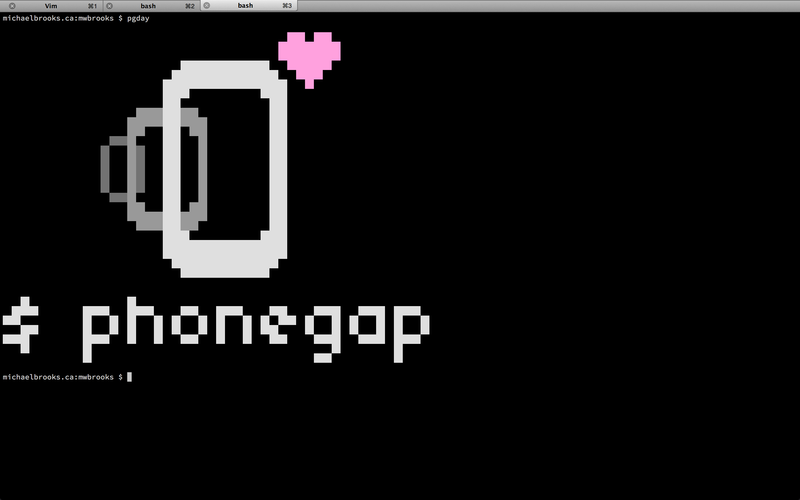 Create, build, and install PhoneGap apps in the terminal. Create, build, and install Cordova apps in the terminal. PhoneGap Engine donated to the Apache Foundation. Create cross-platform mobile apps with web technology. Touch event polyfill with no setup and no API. Add functional test assertions to QUnit. Minimal and searchable list of solutions to my problems. Find out when to book the cheapest WestJet flight. Simple income and expense logging tool. Online comic to make friends laugh.